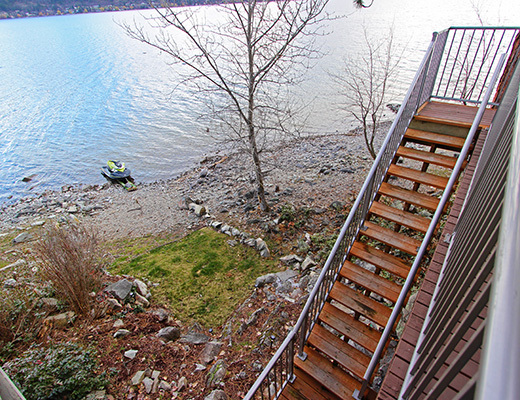 Enjoy the benefits of lakefront living with a taste of rustic charm in this townhouse style property. 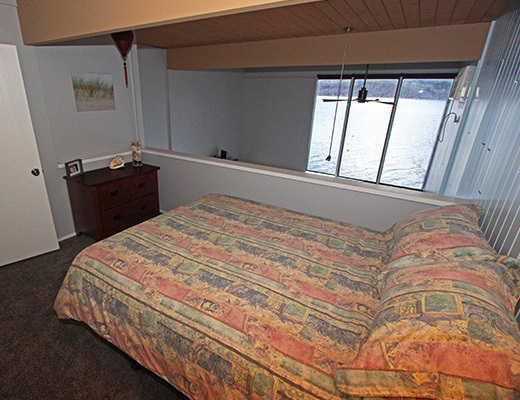 Amenities include a full kitchen, outdoor patio offering a lake view, shared beach and boat dock. 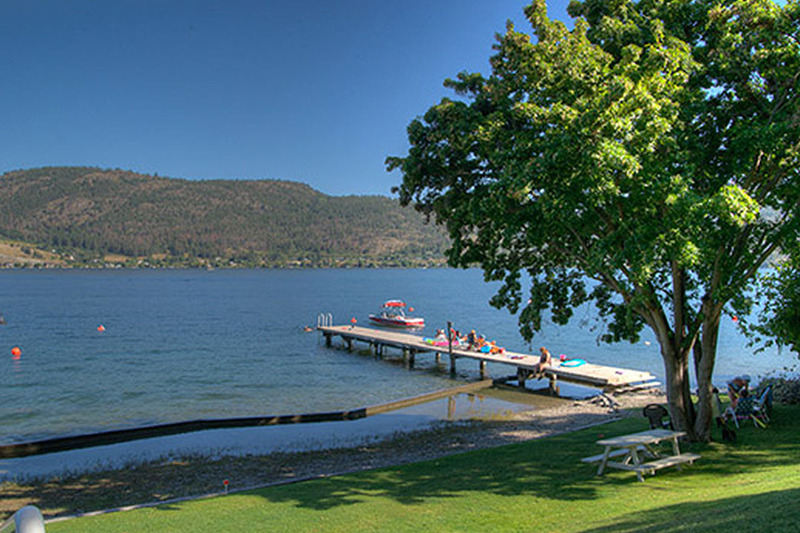 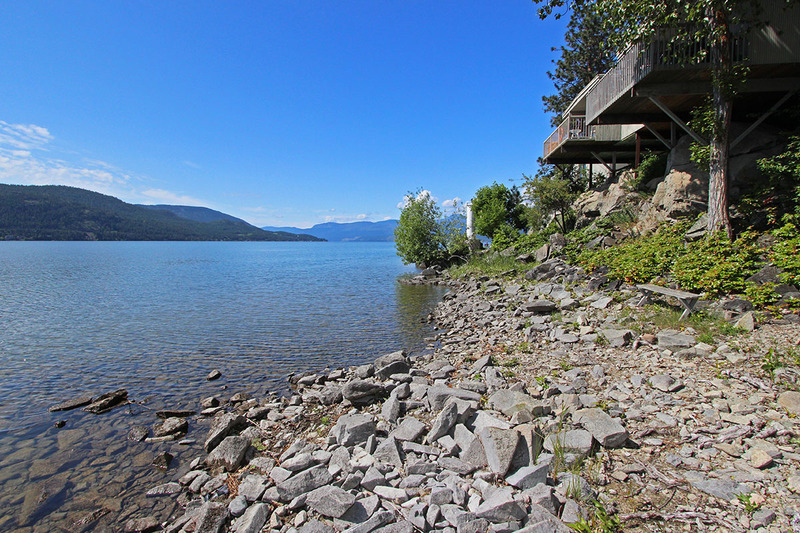 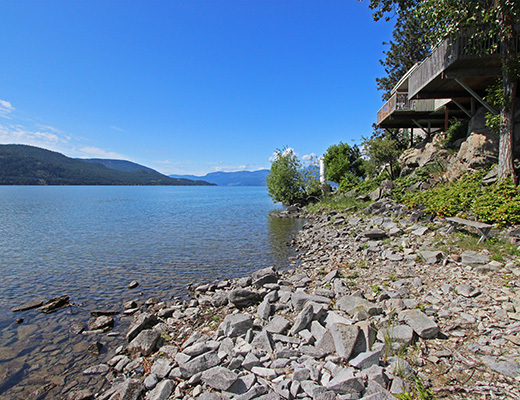 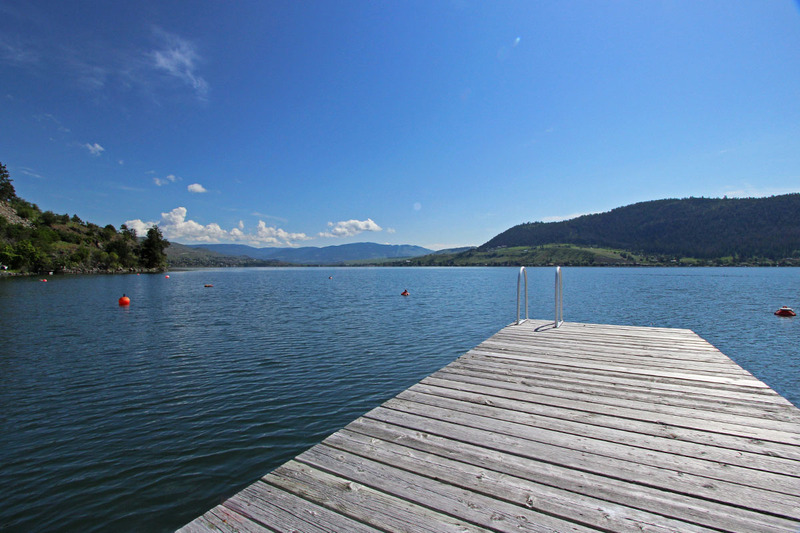 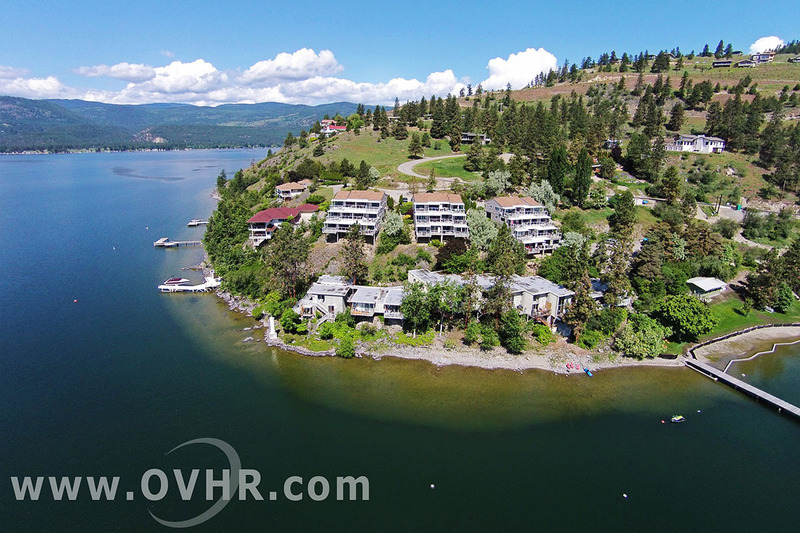 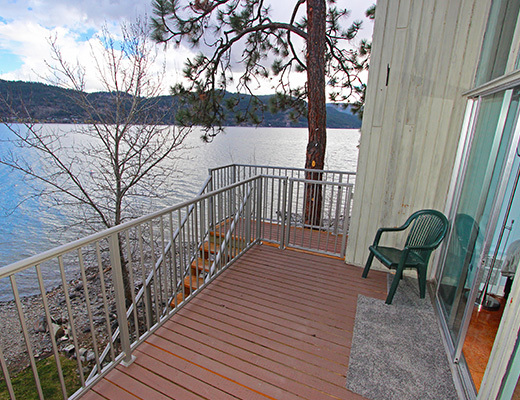 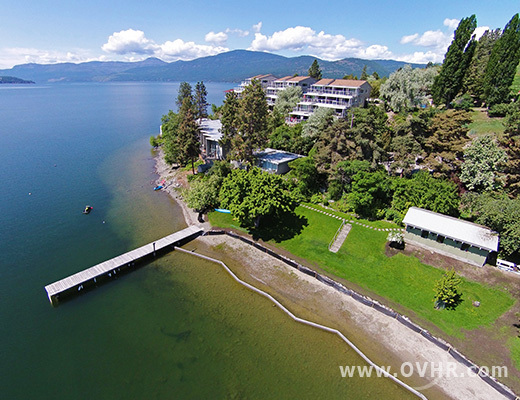 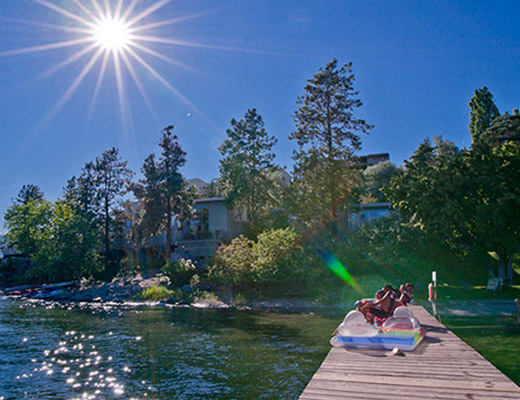 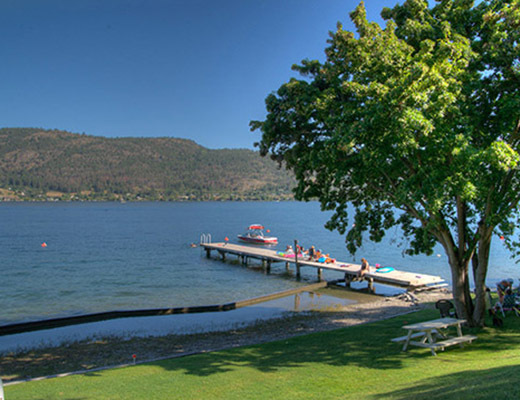 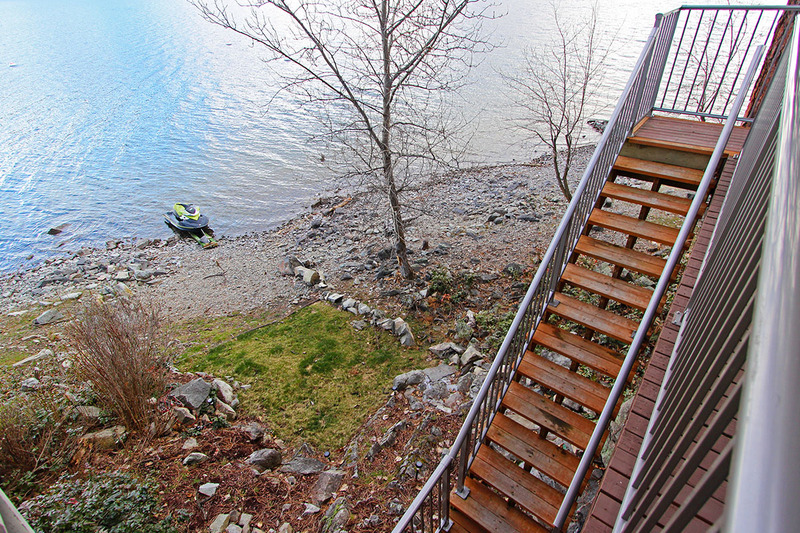 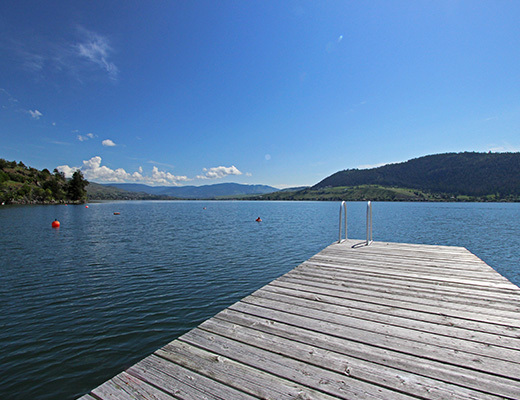 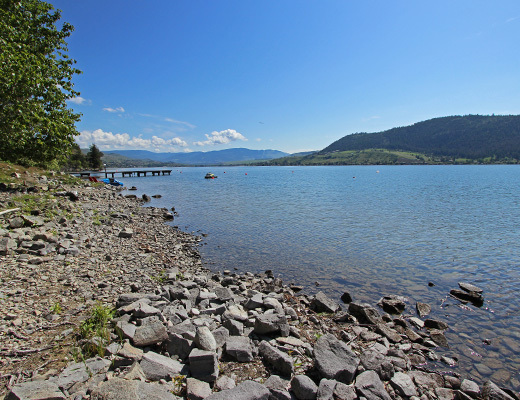 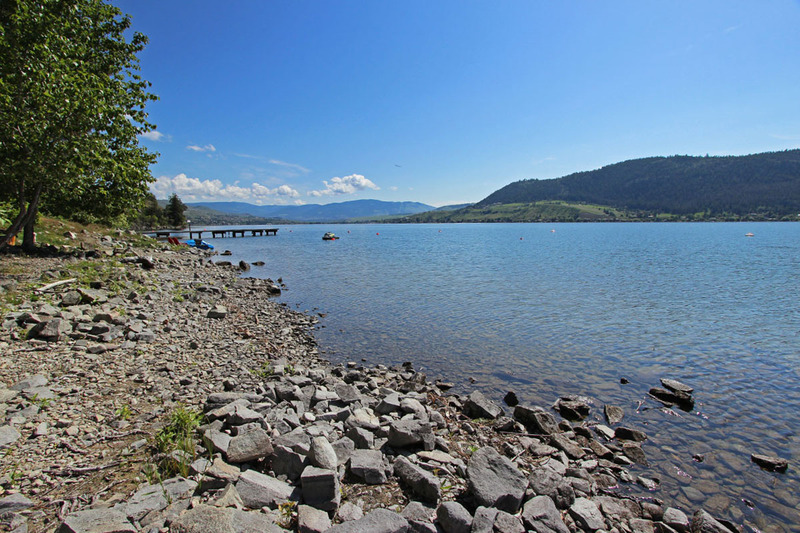 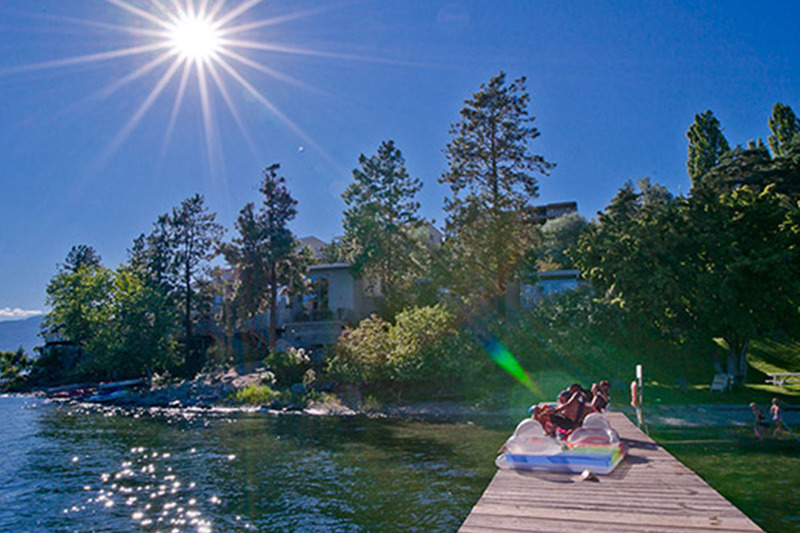 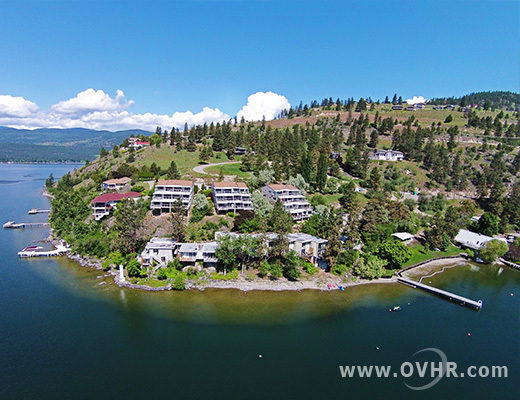 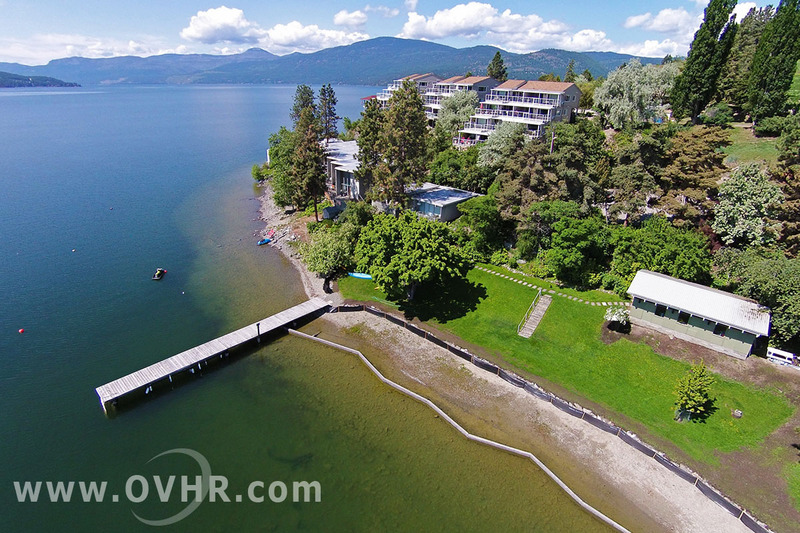 Nestled in the rocks near the Adventure Bay lighthouse right on Okanagan Lake, this 2 bedroom lakefront property offers a quiet and secluded retreat, perfect for professional couples seeking a relaxing getaway. 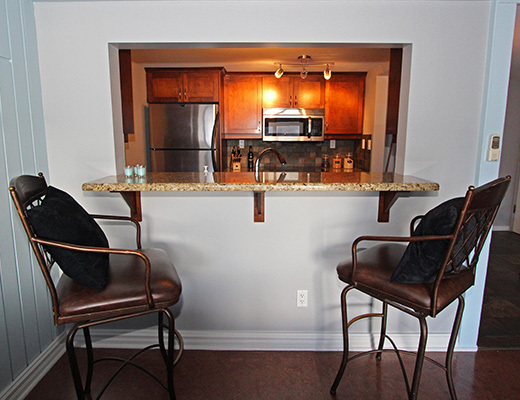 Large floor to ceiling windows let in plenty of natural light, making this open floor plan unit bright and beautiful. 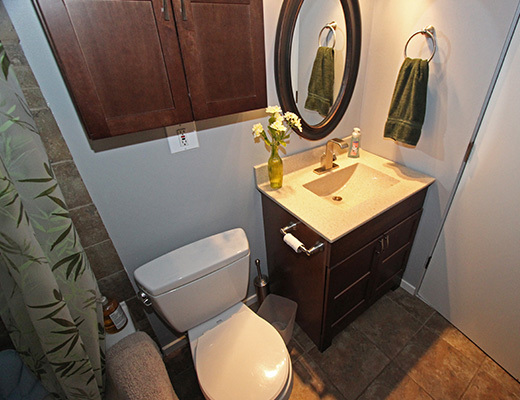 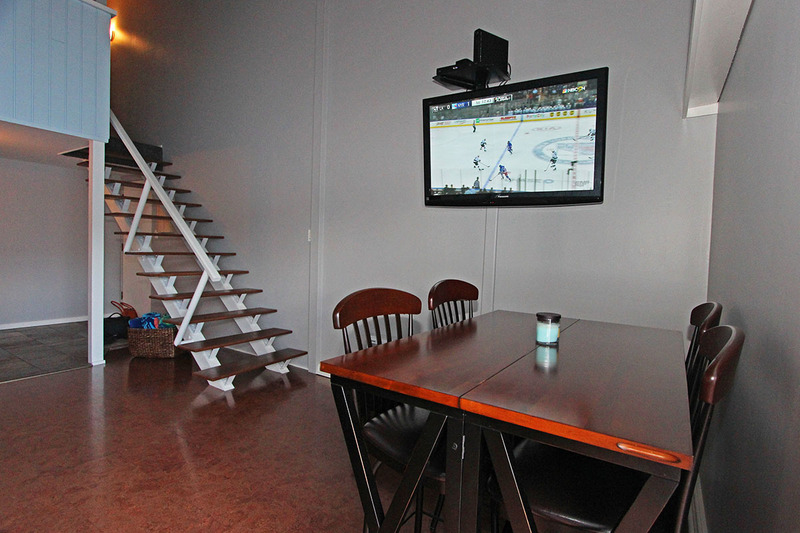 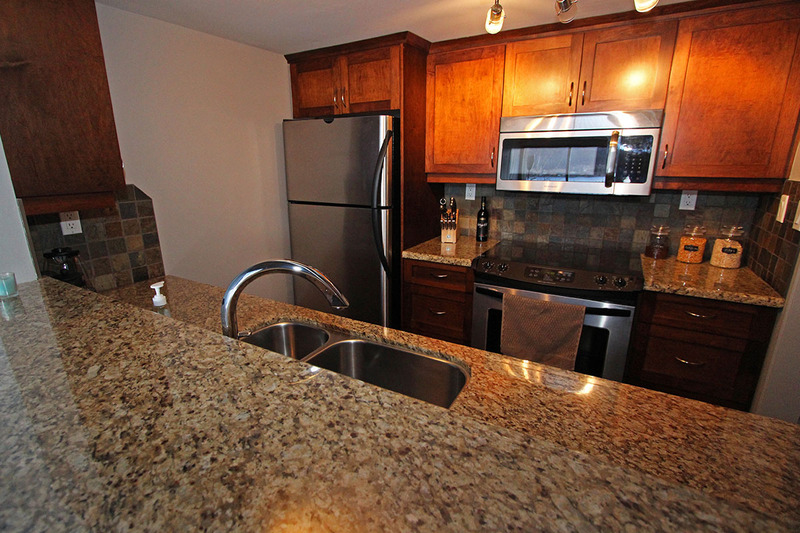 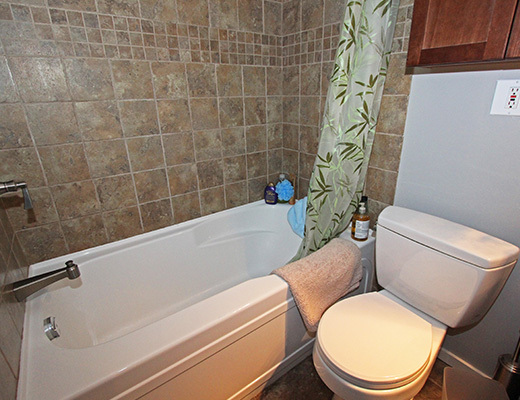 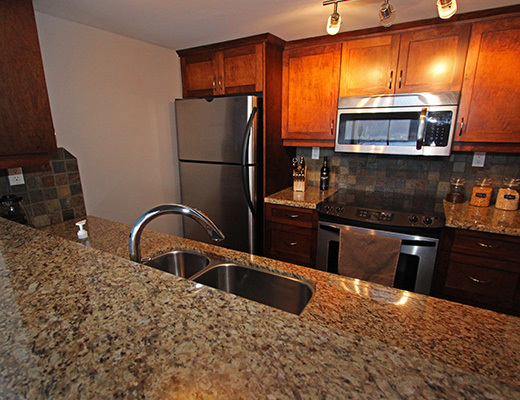 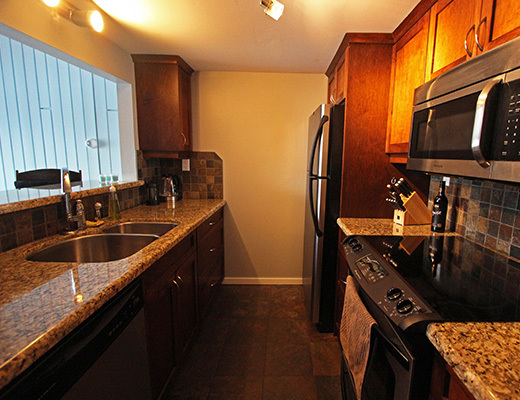 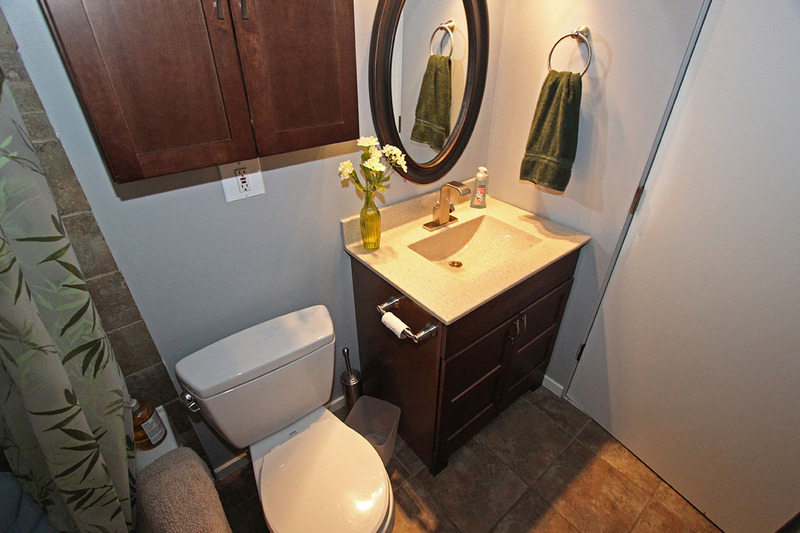 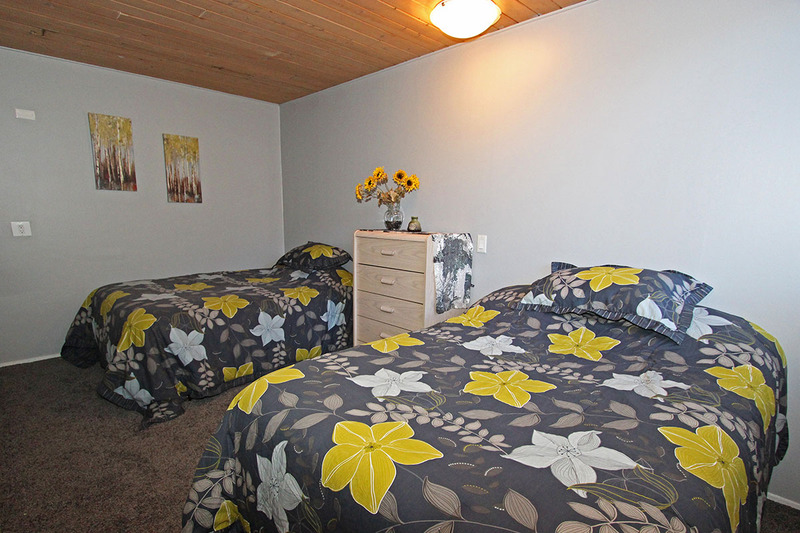 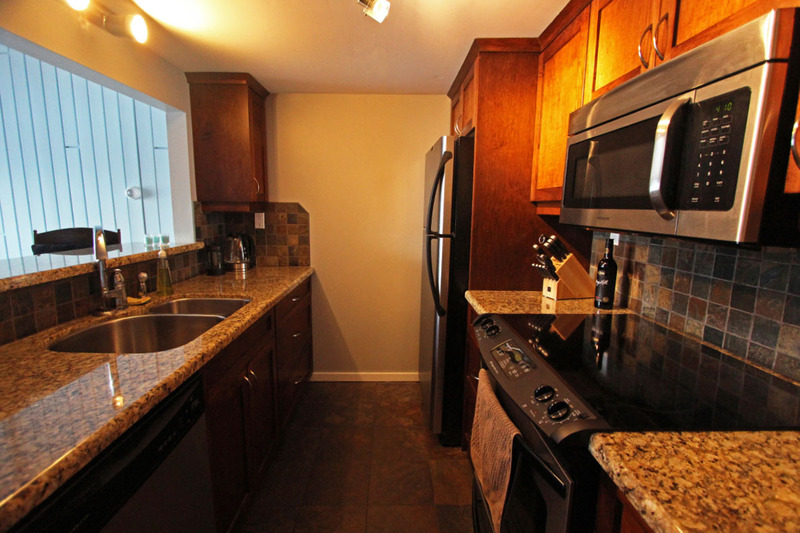 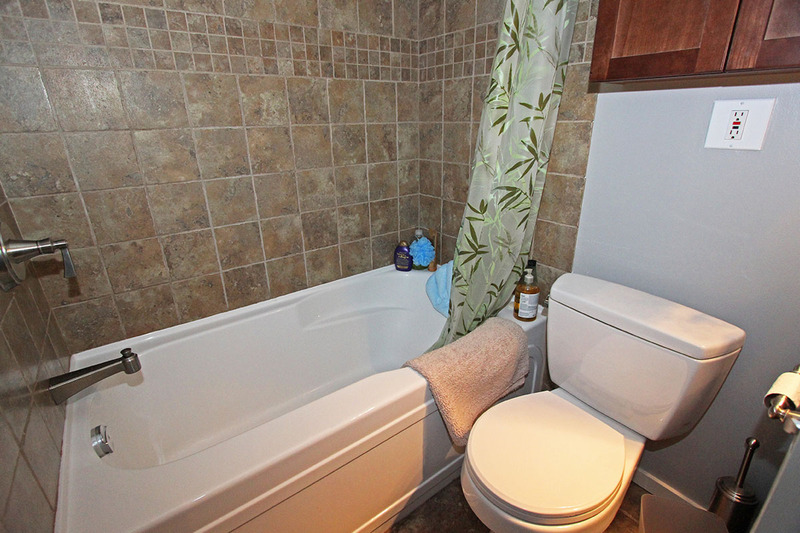 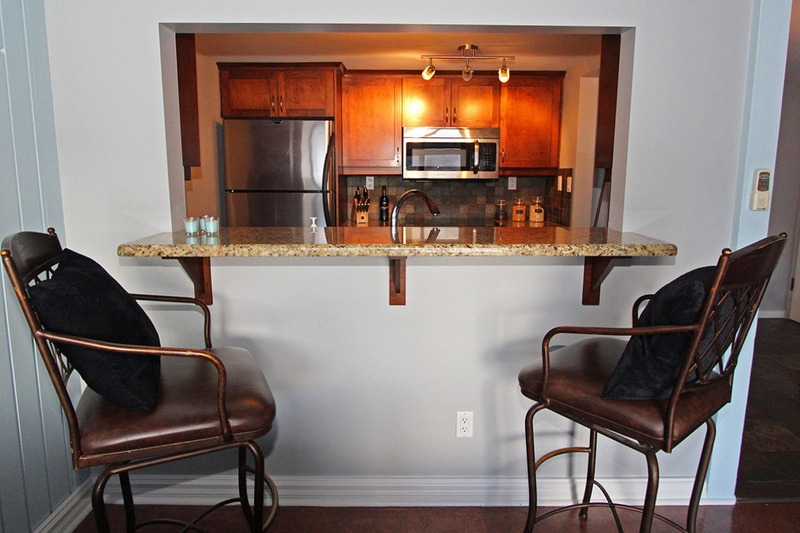 The fully equipped kitchen has been newly renovated with granite countertops and stainless steel appliances. 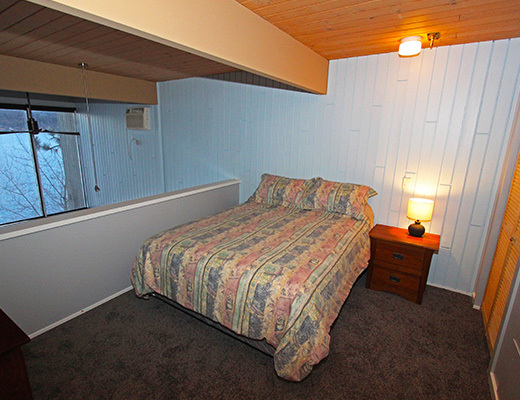 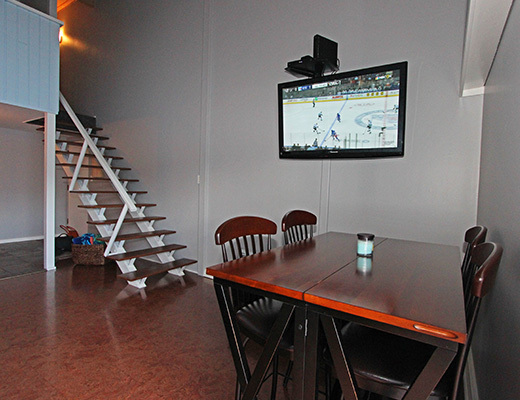 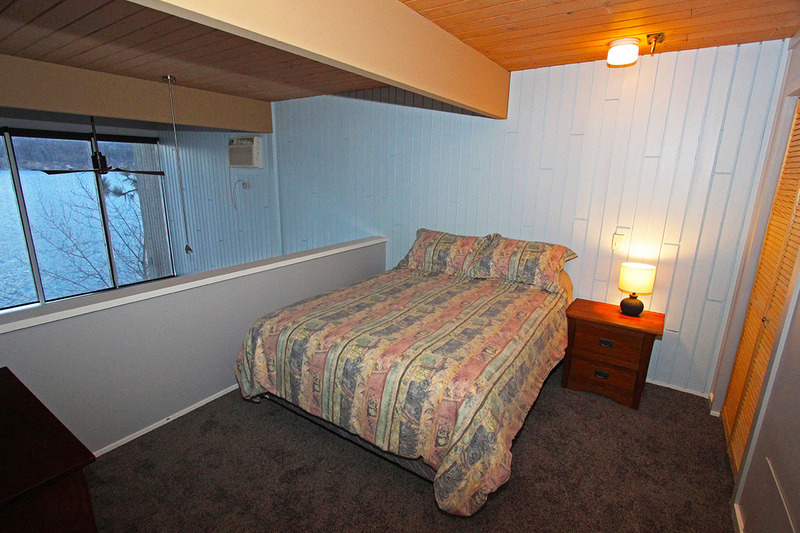 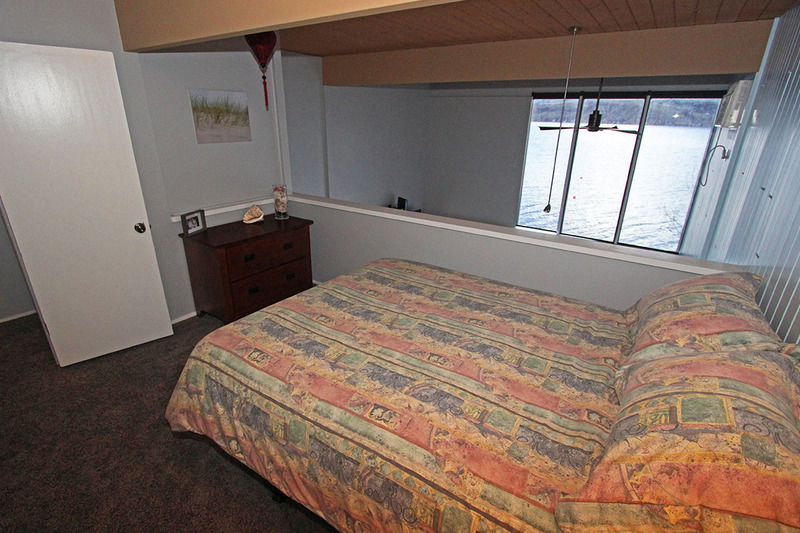 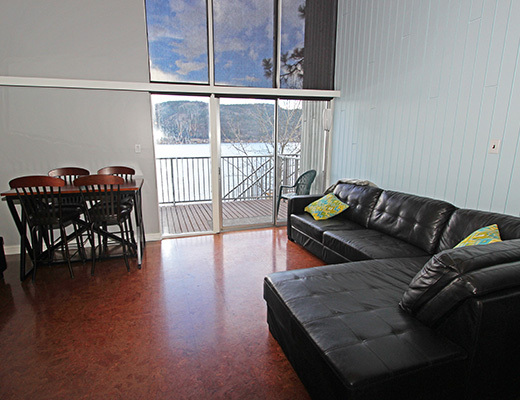 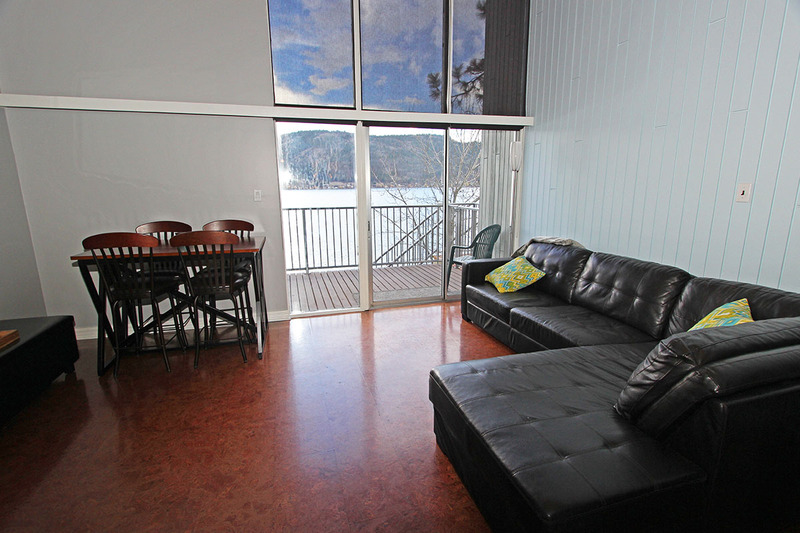 The master loft is furnished with a Queen bed, overlooks the living area and enjoys a lake view. 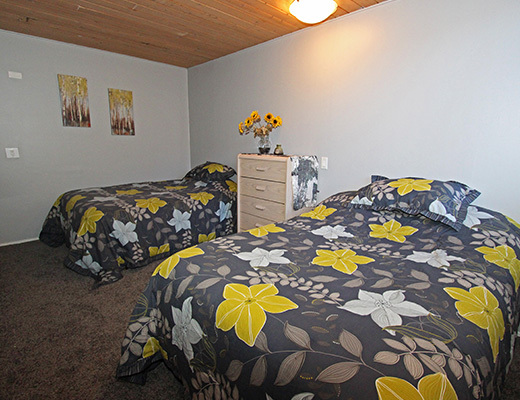 The second bedroom is furnished with 2 Double beds, accommodating up to an additional 4 guests. 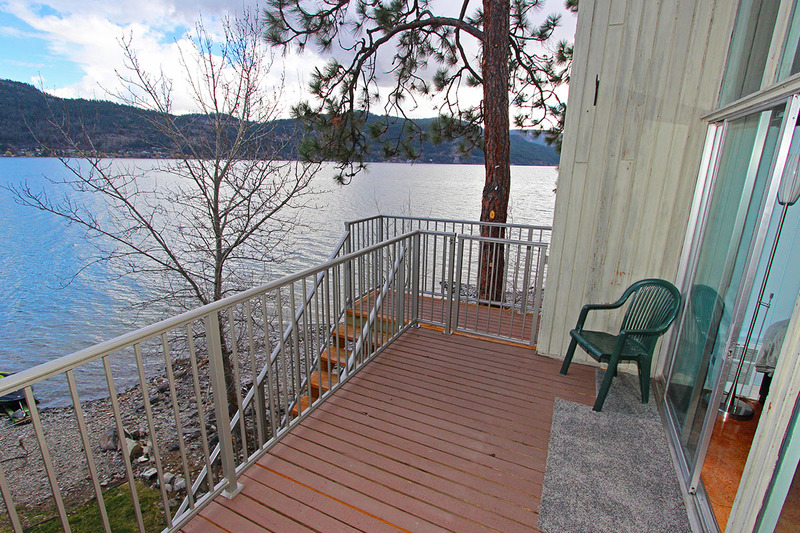 The private deck offers unobstructed lake views, a BBQ and outdoor dining area, perfect for enjoying a meal or an evening glass of wine.